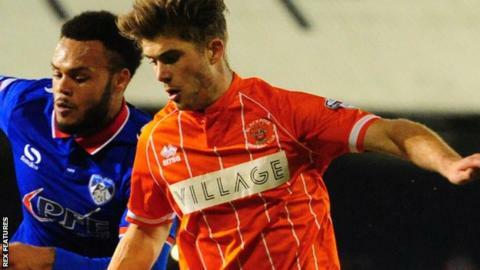 Blackpool full-back Luke Higham has agreed a new deal to keep him at the club until at least the summer of 2017. The League One side have the option of extending the 19-year-old's stay by a further year. Academy graduate Higham has featured nine times for the Tangerines this season, starting the last six games. "I'm really pleased to sign a new deal at Blackpool, I grew up as a fan of the club and making my league debut was a really proud moment for me," he said.